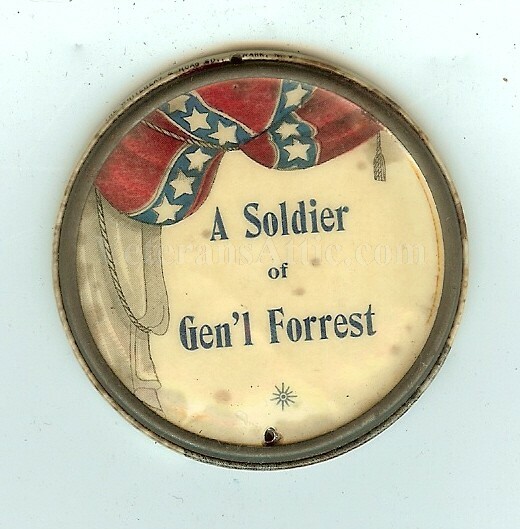 Offered is a wonderful celluloid drop worn by the members of Forrest Cavalry at various reunions. 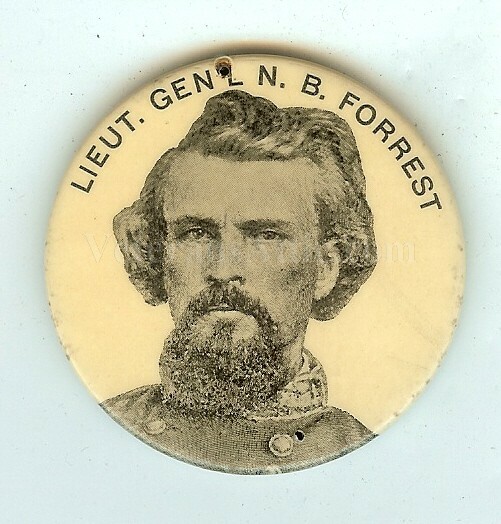 The drop has the likeness of Genral Nathan Bedford Forrest on the front. On the back of the drop is a draped Confederate battle flag and a drape to the left side. Written on the drop is "A Soldier of Gen'l Forrest". The drop is approximately 2 1/8 inches wide. It was made by the Whitehead & Hoag Company, Newark, New Jersey as noted on the side of the drop.